Home » Events » We Have A Winner!! 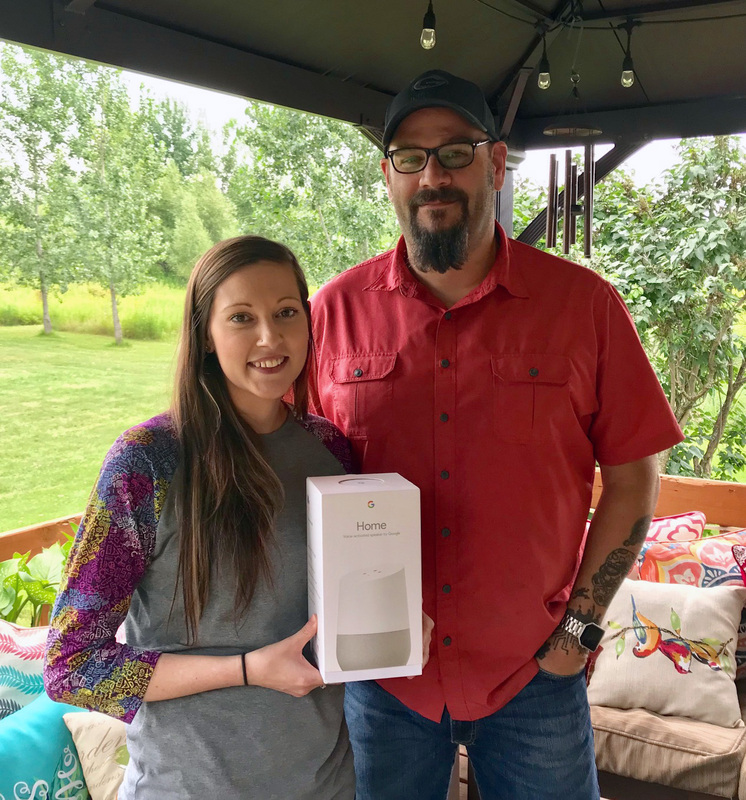 What a great summer we have had so far, and as summer starts to wind down it is time once again to announce the winner of the Northwoods Computer Guy Summer Give Away! This year’s winner is Eileen Neuman! As a new mom of twins, I can’t think of a better person to have won this awesome hands free digital personal assistant…. Have problems getting those babies to sleep? Say: OK Google, Play Relaxing sounds, or Nature sounds, or Rain sounds, or River sounds. It works! I promise! I also wanted to give a big thank you to everyone that entered the Summer Giveaway, This was our biggest year yet with over 150 entries into the contest and some of the kindest reviews I have ever gotten, thanks to everyone that took the time to like, or to say something about your experience at the Northwoods Computer Guy. There is no better compliment that I can get, than when you refer me to your friends and family, your opinions and what you say about me is what keeps me in business. I can’t thank you enough!